Fireco "Steady Masts" are similar to the Partner masts, but they are fitted with locking collars to secure each section of the mast to the previous section. 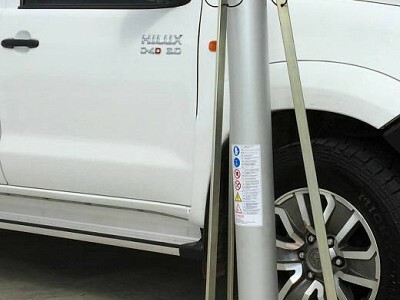 A steady mast is used for applications where the extended height is maintained for long periods of time. FIRECO “STEADY” Telescopic Masts are pneumatically operated masts that use locking collars to keep the mast sections raised without the need of air pressure. 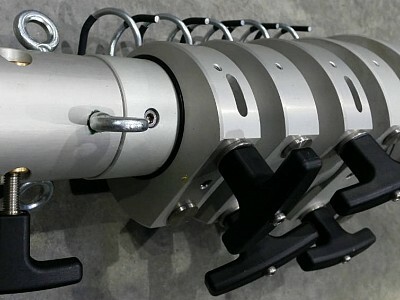 The locking collars use a T-handle on each of the collar which tightens a steel locking band in the collar to clamp the tube section to the tube below. This is particularly useful in applications where the equipment must remain deployed for long durations. 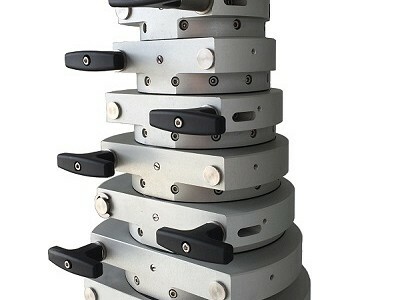 The locking collars also allow the mast to be supported with guy ropes in large head load / high wind loading conditions. The mast sections are keyed to prevent the tube sections from independently rotating. 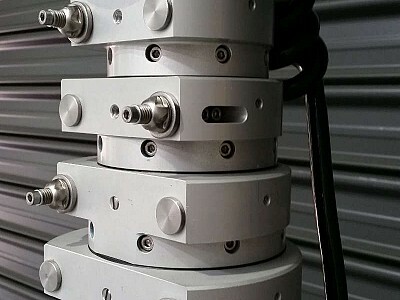 Equipment can be mounted permanently to the mast head using the 4-bolt head configuration or using the 24mm Pin Head to provide quick access to the equipment. A turnable base (manual or electric) can be fitted to the mast to allow for directional head loads. Internal cable can be fitted to provide Cat5e, power, control and micro-coax to the equipment on the mast head. FIRECO “STEADY Telescopic Masts are suited for Defence, Mining and Construction Applications where the mast will be used in harsh conditions. The main benefit of using a steady mast is the ability to fit sand scraper rings which is an additional wiper seal at the top of each collar that ‘wipes’ the tube section as it is retracting to prevents dirt and dust from getting into the mast and preventing the sections to operate correctly. 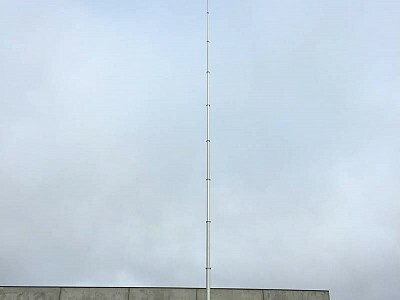 FIRECO “STEADY” Telescopic Masts are also suited for Communication Applications where there will be camera or communication equipment mounted to the mast head such as remote monitoring CCTV and Surveillance Applications. 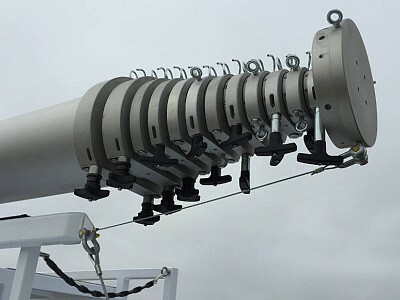 The main benefit is that internally coiled cable can be fitted within the mast to provide un-accessible ethernet and power feeds to the camera equipment. The other benefit is the T-handles can be removed and Tamper Proof Locking nuts installed to prevent un-wanted access to the equipment on the mast head. * - With 1 set of guys ropes. ** - With 2 sets of guy ropes. *** - With 3 sets of guy ropes. **** - With 4 sets of guy ropes. NC - No internal Cable.